June & Edward were married at the Western Hills Church on September 3, 2016. They then had an elegant lunch reception at the Ritz-Carlton Half Moon Bay. 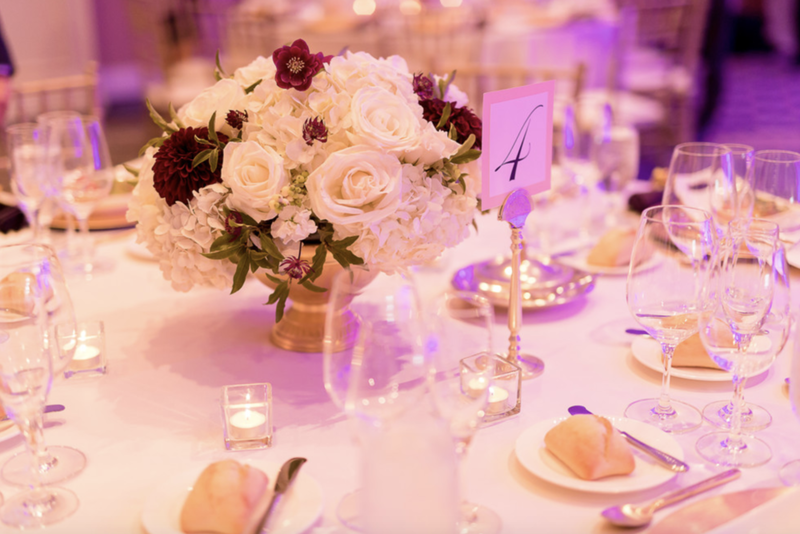 The colors of the wedding were ivory, gold and plum! 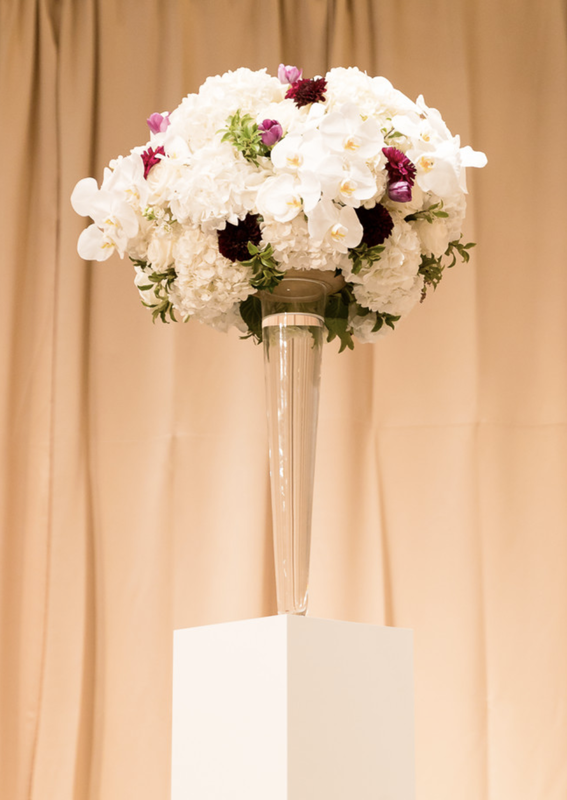 We used lush ivory flowers with a pop of plum in the arrangements with just a little greenery. 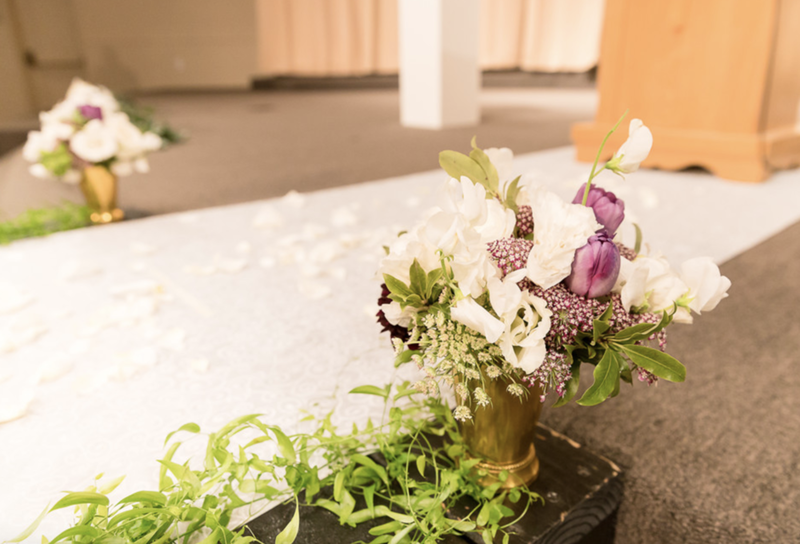 Everything looked beautiful and was the perfect touch for an elegant ceremony and reception.